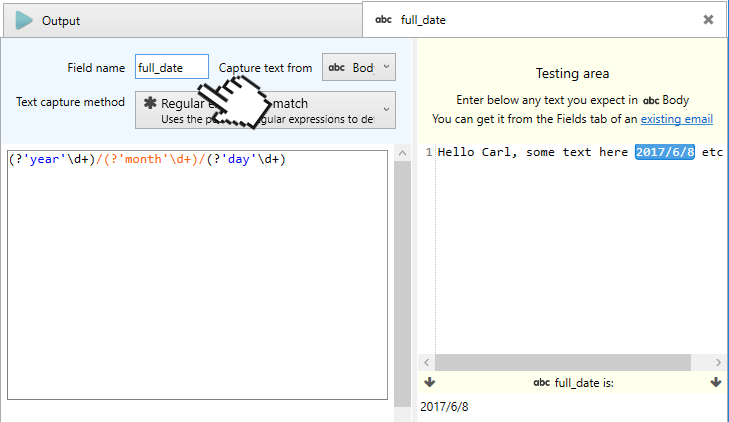 Regular expressions tells Email Parser how a text you want to capture looks like, they are a specification of a text format. 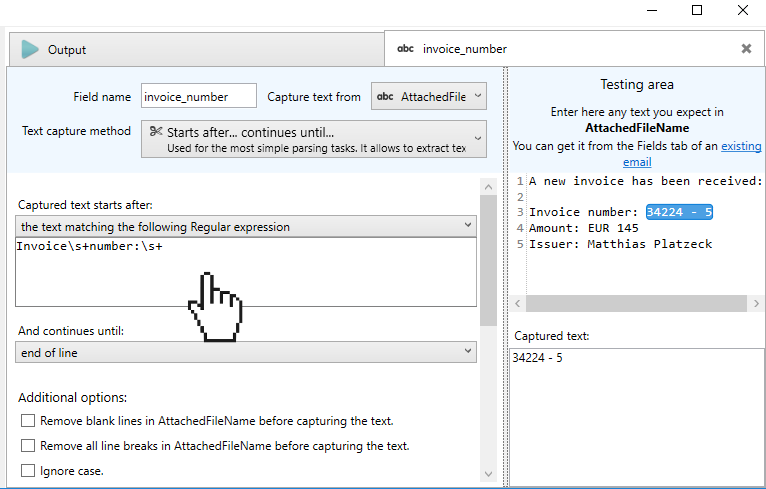 But, unlike other capture methods available, they are more complex and difficult to use. As they are widely used in other contexts and very well documented, this help topic is only a brief explanation of what regular expressions are and how they work in Email Parser. There are even books and full websites covering this topic only. 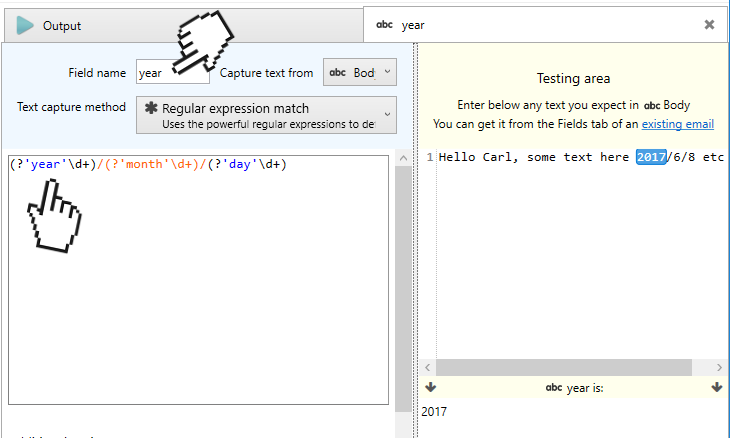 As you can see, given a regular expression and an input text, there can be a match or not. And sometimes there can be more than one match (see the first example of the table). Email Parser, by default, takes the first match only. [aeiou] Matches any vowel. You can replace “aeiou” with any set of characters. * 0 or more of previous expression. + 1 or more of previous expression. 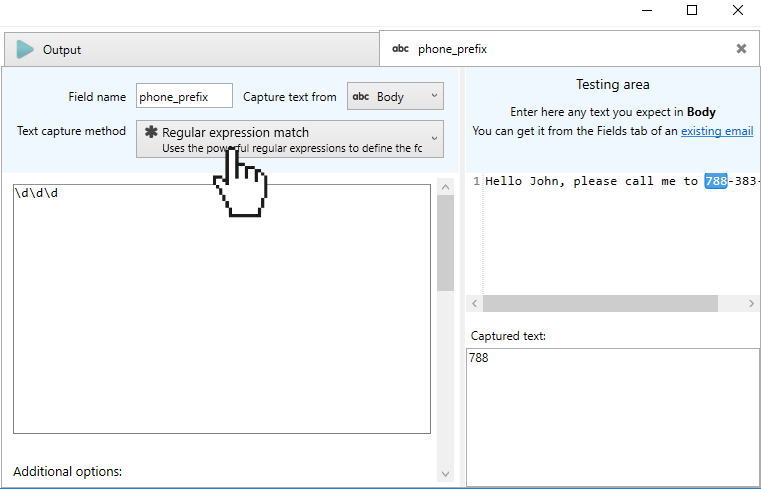 A capture group is a label within a regular expression that define the name of a part of the matching text. For example, in a phone number there is a part that we can label as “prefix”, in a date there are “month”, “year” and “day” etc. These are helpful if you want to capture not the full regular expression match but only part of it.